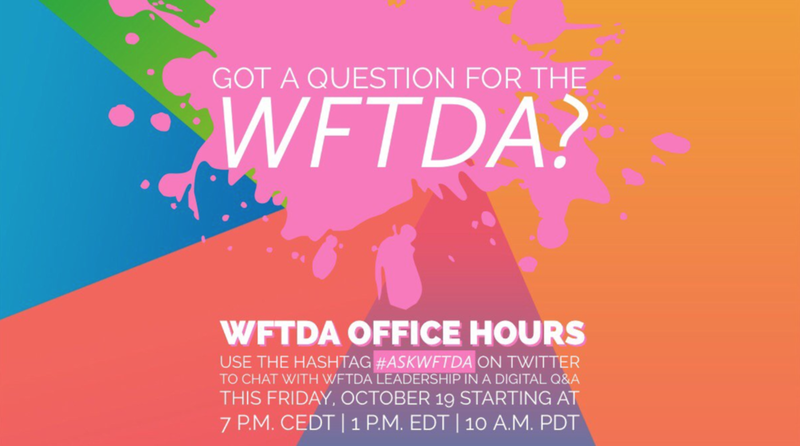 WFTDA held another ‘office hours’ session on Twitter using #AskWFTDA and tons of great questions were asked from the derbyverse! “…New technology coming in the year ahead that will make things easier for member leagues to access WFTDA, and other league based resources"
We’re looking at a spring rollout of some new trainings, “both compulsory for members and supplemental for roller derby community as a whole”! Focusing on "establish[ing] some development infrastructure in the organization. Education and membership investment is helping us build these pathways"
God bless Meg for never pulling punches. Is HH talking about a policy on media interactions? Thanks to WFTDA for doing these! It’s so important to be accessible and for people to get questions answered. I’m excited to hear about these new policies and trainings from WFTDA to help make derby a better place! What threads did you find interesting? What questions do you still have? Find me on social or join State of Skate and let’s talk about roller derby!